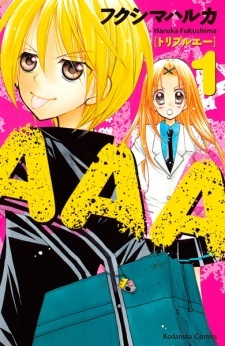 First things first, shōjo, shojo, or shoujo manga is manga aimed at a teenage female readership. 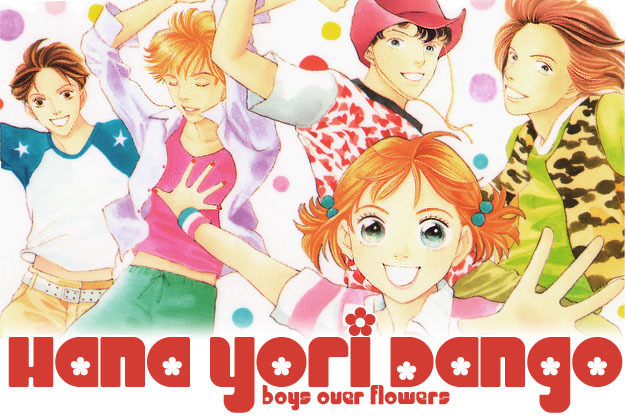 The name romanizes the Japanese 少女, literally "young woman" The most iconic and influential Shoujo character designs come from the early 20th century, where girls and boys alike were drawn with huge eyes. 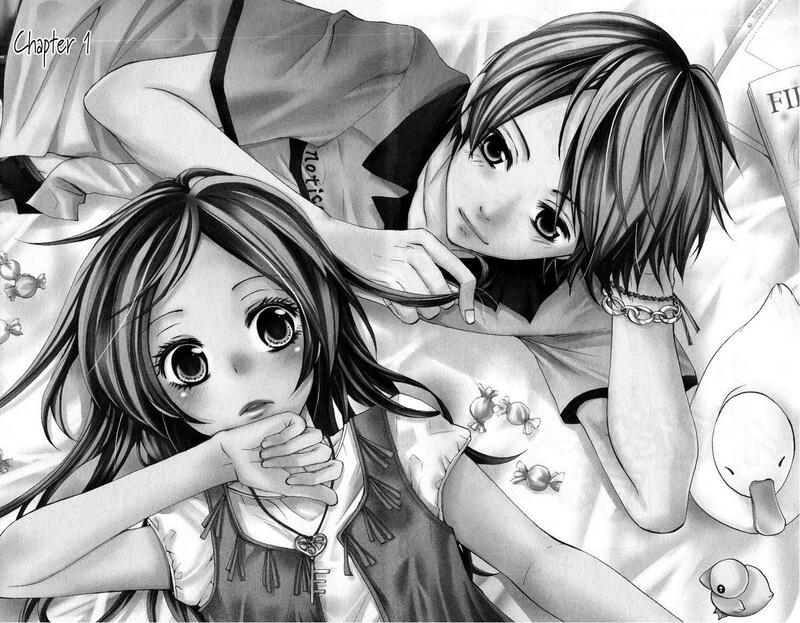 Shoujo is the counterpart of Shounen, a demographic aimed at boys and young men. 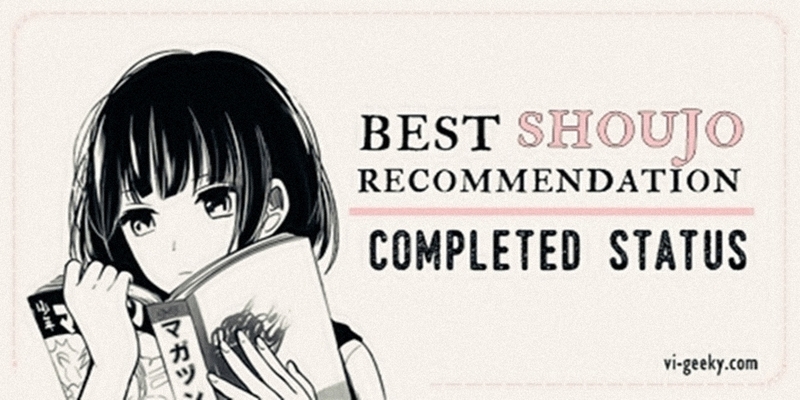 Vi-Geeky would like to have as my pilot post, the BEST SHOUJO MANGA RECOMMENDATION WITH A COMPLETED STATUS to all shoujo manga lovers out there. Just a short introduction, if you happen to came across or visited my previous blogs which is asunnyhappiness.com / iamthegreatwhatever.blogspot.com with the same title, yes, this is the most updated completed list. I would like to take this opportunity to thank you guys for the support of those blogs. This will be a two part because I don't want to hurt your finger scrolling down. Synopsis: Saya is an ordinary lethargic female high school student. At karaoke while she was singing enthusiastically a song of her favorite artist, Takase Kazuki, the person himself was watching her…!? 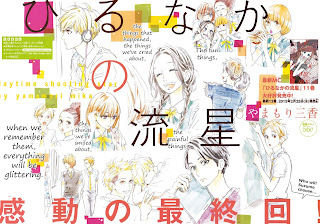 Review/Thoughts: A short yet heartwarming manga. Love knows no age and it has an awesome character development! 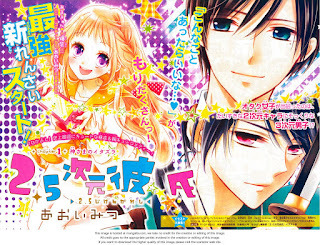 Synopsis: Koino Tsumugi is a 16-year-old otaku who only has eyes for Tokki, a 2D character in her favourite otome game! 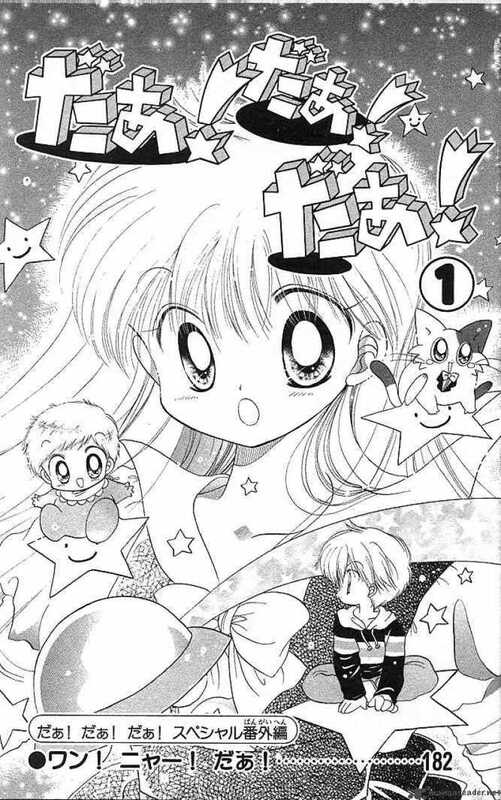 She has no interest in real boys... Then one day she's rescued by a guy who's the spitting image of Tokki...?! Synopsis: Nanaka loves to paint. So when she enters high school, she gets excited at the prospect of jointing the arts club. However, there's only two members—the mysterious Chihaya and the energetic Kento. They're both good-looking guys, and Chihaya shares Nanaka's love for painting! Review/Thoughts: It will leave you fulfilled, I love how it ended. Synopsis: Taki is the cool yet strange guy in Mio's class. She bumps into him at the subway station after school and saves him after he almost gets pushed onto the tracks. The next day, he returns the favor by saving her from an incoming car. This marks the start of Mio's love. Review/Thoughts: It was one of my favorite manga I managed to finished last year (2016). The protagonist development is such well written/drawn. I love how the emotion flowed from chapter to chapter. Review/Thoughts: I like how easy and predictable the story. It's enjoyable but though for some the art may be a bit unconventional. Synopsis: Rejected by way too many good-looking (and unattainable) guys, Riiko Izawa goes online and signs up for a free trial of a mysterious Nightly Lover “figure.” The very next day a cute naked guy is delivered to her door, and he wants to be her boyfriend! Has Riiko died and gone to heaven? The cute guy turns out to be sweet, smart, a great cook, and lots more. And, better yet, he looks like a million bucks, which is what he’s going to cost Riiko if she doesn’t return him in time! Will she? Or will Night be taken back to the company and made into scrap metal? Synopsis: Sakura Ai, had her first love on Tokuzawa Taiyou during her elementary years. When the sweet and gentle Tokuzawa-kun transferred to another school causing Ai-chan to have a funny nickname “Granny Ai” when he left, Ai-chan tried to forget about him. But fate never gave up even when she was in high school! While Ai-chan went to her garden of sunflowers by the pool in the school, she found a phone lying on the ground. When she knew that it was Tokuzawa-kun’s, she left it on the ground and ran away, knowing that the kind Tokuzawa-kun she used to know during childhood is now a frank tough delinquent, would her love for him bloom again? 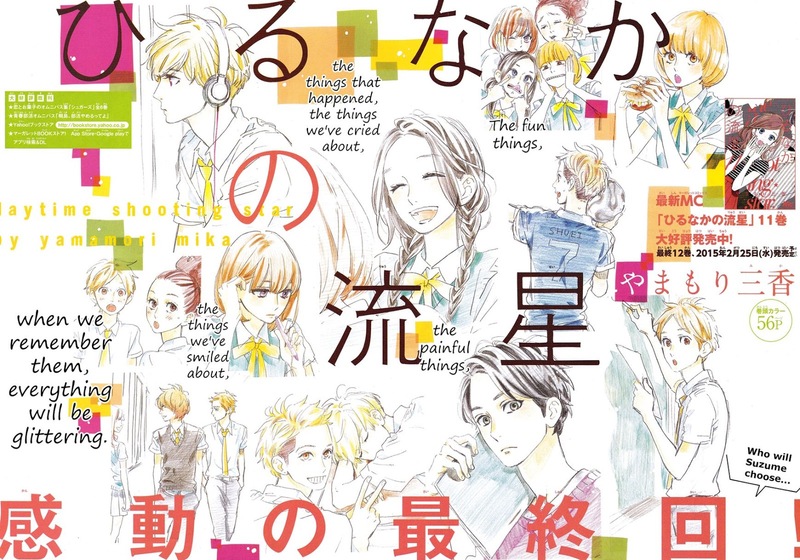 Synopsis: Nanami, a first-year high-school student, has a history of failed relationships. When she finally meets her ideal guy is he really who she thinks he is? Review/Thoughts: Good for light reading (not Hermione's light reading. haha) The ending was rushed but nonetheless, a good read! Synopsis: High school is hard for Kayano. When she tries to confess her love to the kind but distant Yuichi, the school bully Takeru makes her life hell. But things get worse when Kayano's mother gets engaged to Takeru's father, the school principal! 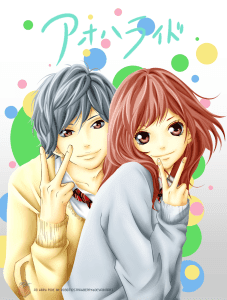 Soon enough, instead of be in love with Yuichi, she falls in her love with her future brother, Takeru. What will she do about this forbidden love? Synopsis: Yoshioka Futaba has a few reasons why she wants to “reset” her image and life as a new high-school student. Because she’s cute, she was ostracized by her female friends in junior high, and because of a misunderstanding, she couldn’t get her feeling across to the one boy she has always liked, Tanaka-kun. Now in high school, she is determined to be as unladylike as possible so that her friends won’t be jealous of her. While living her life this way contentedly, she meets Tanaka-kun again, but he now goes under the name of Mabuchi Kou. He tells her that he felt the same way as she did when they were younger, but now things can never be the same again. 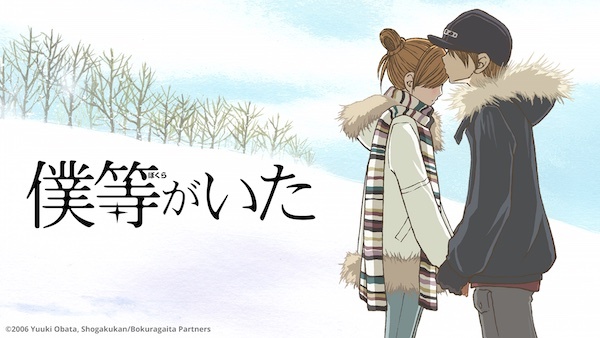 Will Futaba be able to continue her love that never even started from three years ago? Review/Thoughts: The feels manga. If you want to feel a roller coaster of feels, read this! It will make you feel so elated, touched, happy, sad, angry, etc. It so popular that it was adapted into a live action movie released last December 2014 and a 12-episode anime last Fall 2014. I really love this series because I think I was already following this before it got so mainstream. Aside from the story and plot, the art is so outstanding, as expected from Io Sakisaka-sensie, who is the brainchild of Strobe Edge which is as good as Ao Haru Ride that was also adapted into a live-action movie. Synopsis: Sachie Wakamura just lost her mother, and her estranged grandfather has shown up to take care of her. The only problem is that Grandpa is the head of a yakuza gang! Too scared to join her new family, Sachie tries to continue living her normal life. She can't run far though, since one of the most popular guys in school is part of her grandfather's gang and her new protector. 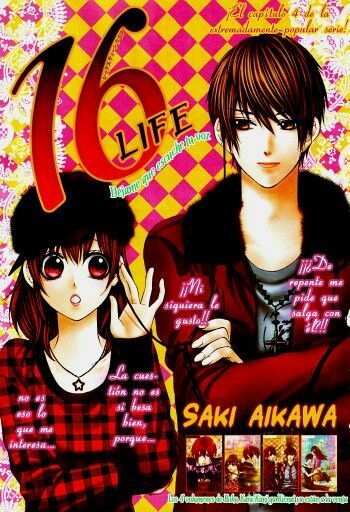 No one at school knows about Rakuto's hidden life, and soon Sachie finds herself falling for her bodyguard. But she's the granddaughter of Rakuto's boss, and he can never show his feelings for her. Can Sachie find a way to fit into her new family and grab her chance at love? Review/Thoughts:The start of the story might be cliche I hope that will not stop you from reading this manga because every scenes are well executed. Thumbs up! Synopsis: Yukimi is her real name but everyone calls her Bambi. She is the student discipline committee member who locks students out of the school if they're a minute late but herself sneaks cigarette breaks on the roof. Lone wolf (Dhole, Asiatic wild dog) transfer student Tetsu (everyone pronounces it Tooru) Nagasawa who hops the fence after she locks it and breaks her cigarette in half when he finds her on the roof, yet he is a super nice guy to a mother and baby on the train. Bambi already has a boyfriend but will the wolf steal her heart? Review/Thoughts: I was mind-blown on some scenes but if emotion wise, this manga is full of it. I swear I cried, guys. Synopsis: Most girls are crazy about jewelry, but not Anis Yamamoto. Not since her father gave her a rose choker as a child, claiming it was a protective amulet which would safeguard her from harm; however, if she ever took it off (a feat easier said than done! ), she would be afflicted by a “punishment” of some sort- not like it matters to her, since the attention it attracts around school from faculty and students alike isn’t something she’s particularly fond of. But after a certain incident causes the choker to disappear, she realizes that this punishment her father spoke of might have been a bit more than she bargained for! 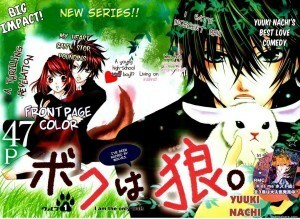 Synopsis: Yuiko Kubozuka is a high school girl who loves animals. Unfortunately, animals don’t like her and flee away from her whenever she comes near. One night, while trying to save a runaway cat in a tree, she meets a boy with wild hair and scary eyes who saves the cat. The next day, that boy turns out to be Yuiko’s new transfer classmate, Leo Aoi. She finds him to be funny and not scary at all, while everyone else feared him because of his appearance. This makes Leo very happy. But there’s a secret hidden within Leo. What will happen to their relationship? Review/Thoughts: One of my favorite manga by Motomi Kyousuke-sensei. Funny and heartwarming. I love how the mangaka put all the actions and romance in this manga. Synopsis: The world is full of mysterious “monsters” that no one can see exept misao.she doesn’t tell anybody and tries to continue leading a happy high school life. Though she’s jealous of her friends who have boyfriends, she’s just like a normal teenage girl but she keeps having dreams about a boy she met when she was younger who has the same power as she does.Her mundane life suddenly changes when goblins try to eat her, and her old friend Kyo comes back to protect her from them. Then, she finds out that she is personally being sought out as goblin food and that Kyo is a goblin, too. Her exciting teenage life is just about to begin. Synopsis: Anna tried so hard to enter the same high school as her crush. But it seems that her crush is Reiji, her cousin!!! Fearing that people will find her disgusting if they date, she buries her feelings deep inside…but then she hears that Reiji likes Rumi, her best friend? Can Anna let Reiji go? Or will she secretly be heartbroken forever? Review/Thoughts: A four-chapters long and expect nothing less from Sakisaka-sensie! Synopsis: The story revolves around a girl who is wealthy Rei-kun’s robot. What kind of relationship will those two have!? 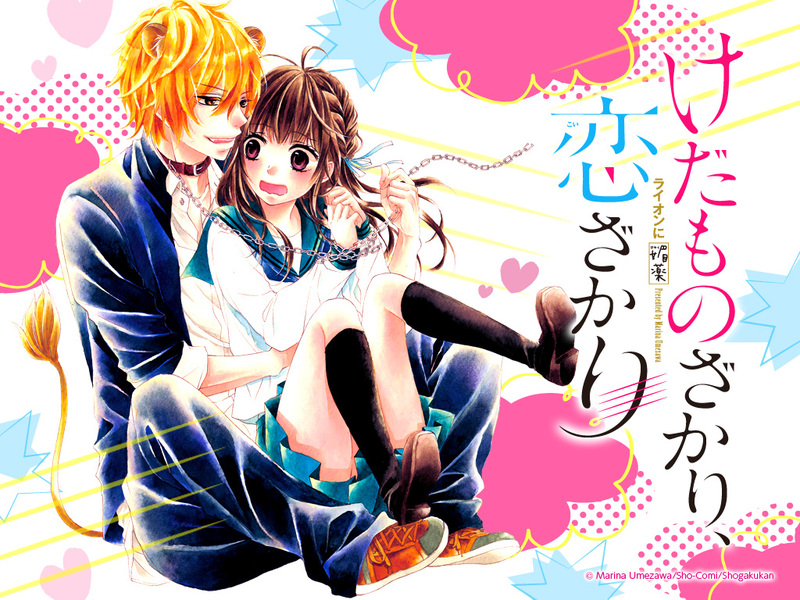 Review/Thoughts: A male tsun-tsun is just so cute. Read this and love-hate the hero. Sweet and inspiring! Synopsis: Rina hates perverted guys. 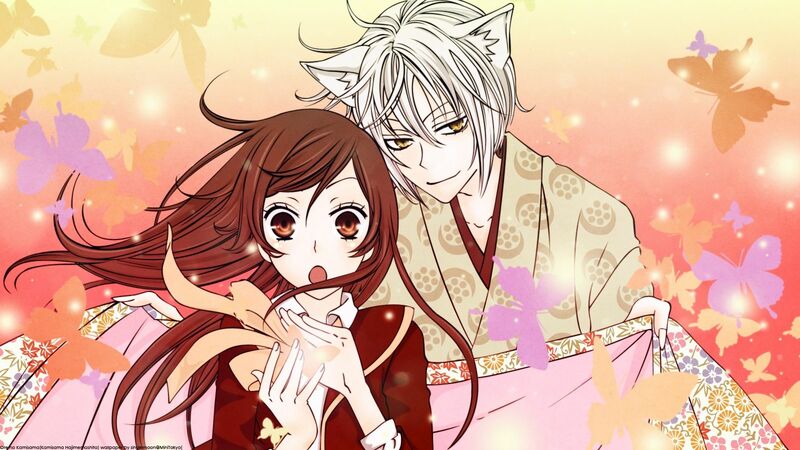 She mixes up her new classmate, Ookami-kun with someone else… But the truth is, he is a real wolf! Is this sensation of the beginning of love?! Review/Thoughts: A high spirited manga. Full of laughs yet it had some cute parts. Much like Beast Master with a different twist. Synopsis: The start of high school life. To the girls, that also meant the start of their love lives. 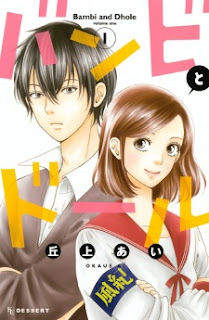 For brand new first year student, Takahashi Nanami (Nana for short), it was no different… She happens to end up in the same class as the incredibly popular Yano Motoharu, who rumors say that two thirds of all the girls are guaranteed to fall in love with. But will that hold true for Nana, who says that if she had to choose between like or dislike, she’d say she dislikes him!? Review/Thoughts: It is a must read! I posted a bit of a long review HERE last 2014 that I reposted here. 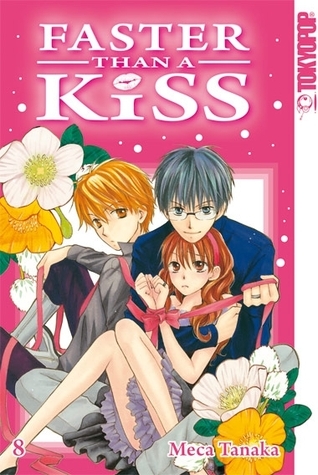 Synopsis: In this awkward love-triangle between two step- siblings, -Otome and Minami- and a best friend, Amane, the three are trapped in a web of love. After getting along for five years, Otome and Minami's peaceful relationship takes a turn in the wrong direction when Amane confesses his love to Otome. What will Otome do? Review/Thoughts: Another taboo love story! Synopsis: Since her parents are a little bit slow, Matsuda Erika (or Eri for short) has taught herself to be independent and extremely reliable. Moreover, she devotes herself to taking care of those around her—even if some of her classmates find her behaviour overbearing and annoying. One day, a strange new transfer student is introduced to her class. This boy speaks in choppy sentences, has little to no facial expressions, and goes by the name Nogina Kaname. Instantly, Eri feels compelled to take care of this martian-like new boy in her class. Review/Thoughts: It’s a 4-chapters manga but definitely worth reading. The characters are weird and lovable. Synopsis: One look at Sakurai Sayuki and you would think she’s glaring at you with her “sharp eyes”. But looks are not always what they seem. Sayuki is actually a girl wanting to fall in love. If only people would just look at her in the inside instead of her looks. One day, her friends force her to come to the beach with them to pick up some hot guys. She meets a mysterious guy who not only is nice to her, but has good looks! All she knows is that he goes to her high school and he smells faintly of chocolate. Can she find him? And what if, he’s closer to her than it seems…..? Review/Thoughts: One of the few manga I came across when I was still in college, times when I was very pressured and procrastinating on school projects and my work. I lost my copy and I forgot to redownload it. I highly recommend this, a feel-good manga. Review/Thoughts: Such a fluffy manga, the type you want to read again and again. Review/Thoughts: Yey, favorite since elementary. I think you can only download this on mangatraders but RIP for the site, You can still read it on mangareader/mangafox etc. The 78-episode anime is good, the last 8 episodes have no subs but there are a lot of sources where you can download it. This series is just full of nostalgia feels. This is cute, more on a family drama! I also recommend the sequel: SHIN DAA DAA it is as good as UFO BABY! Synopsis: Teru, a poor and kind girl, recently lost her older brother, her only remaining relative. Before he died, he gave her a cell phone connecting her to a person he said would support her if ever he were unable to. As time passes she is cheered on by text messages sent from this enigmatic person, known only as DAISY. 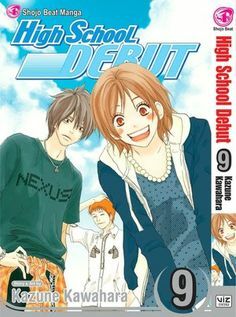 But one day, through an unexpected incident as Teru begins working for the delinquent school janitor, Kurosaki, she starts to question DAISY’s identity. 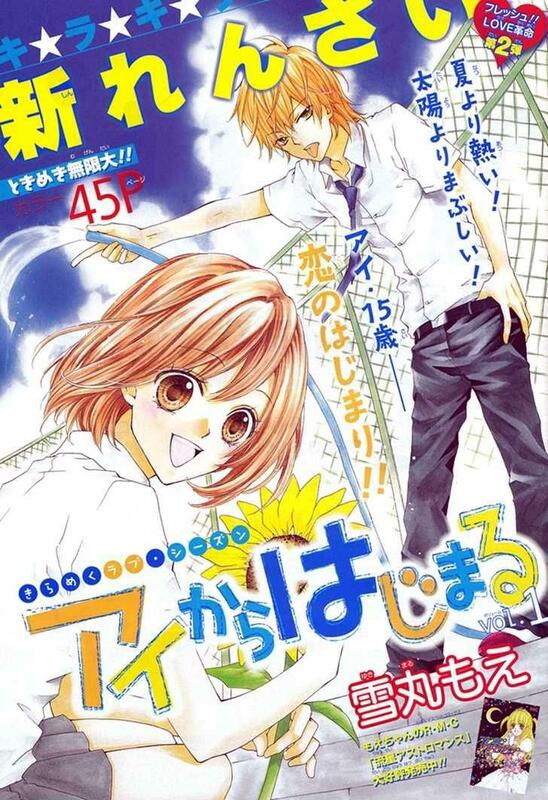 DAISY may be closer to Teru than she thinks… Dengeki Daisy can be an active love story. I dare to say that everybody gets surprised when they find out that the author is a man,he is called Kyousuke Motomi and he is also known for another shoujo: Beast Master.How ever it’s really a shame that the translation is pretty slow for this manga, especially the lastest chapters which have revealed lots of things, but hey ,at least we get some of the chapters. Review/Thoughts: Action-packed (towards the end), funny, full of feels and the romance are just right. I really love this, if you haven’t read this, read it now! Synopsis: It's the turn of the 20th century, and Victorian era England plays host to a poignant and emotional saga of love between two individuals of thoroughly different societal standing. 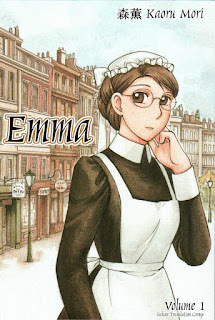 Working class maid Emma and wealthy aristocrat William Jones find themselves falling for one another despite their allotted positions in life, and it is their persistent efforts to traverse the dangerous minefields of wealth, power, and staunch tradition, that provides the gripping emotional drama of Kaoru Mori's Emma. The rigid social structures of the time and the disapproving elite, including but not limited to William's own family, seek to keep the lovestruck pair apart due to their heavy condemnation of this breach of proper conduct. But despite their best attempts to resist one another, William and Emma's relationship deepens, and their feelings for one another prove to be stronger than the harshest of judgments. From the author of the acclaimed series Otoyomegatari, comes this impassioned tour de force of two individuals who strive to never give up on their love. But will William and Emma's relationship fall prey to the slew of unforeseen ordeals that rise up to challenge it, or will they get their happy ending after all? Emma won the Excellence Prize at the 2005 Japan Media Arts Festival for the Manga Division. In 2007, the English release was listed by Library Journal as one of the best graphic novels and was named by the Young Adult Library Services Association as one of the 10 best graphic novels for teens for 2008. The series was first published in English by DC Comics under the CMX imprint from September 20, 2006 to December 8, 2009. Yen Press republished the series 2-in-1 hardcover omnibuses from May 19, 2015 to August 30, 2016. It is also published in Polish by Studio JG from November 22, 2013 to October 9,2015. Synopsis: After losing their parents, Fumino and her brother hop from one relative to another. Getting tired of constantly moving, she finally decides to quit school and work to support her brother on her own. As they sat on a park bench, her teacher appears in front of her and agrees to her demand of marrying and supporting both her and her brother!! Is he serious or just playing around…!? Review/Thoughts: Sort of classic. I love the anime, that’s why I read the manga! 10 thousand thumbs up for this! Synopsis: Mugi Suzuhara was a normal teenager, until her beloved older sister disappeared. Shortly after, her parents died in a suspicious car accident after saying they had found her sister. Mugi tries to break into her sister's high school, Shoukei Academy, one of those super elite high schools, to find evidence, but she is almost hurt by a guard dog when she's saved by Kazuya Midou, a rich and powerful student. He makes a deal with her that she can look around the school as a substitute teacher if she acts as a housekeeper for him and his three male boarders - who happen to also be very popular Shoukei students. Review/Thoughts: Another classic. I love how strong the MC is! 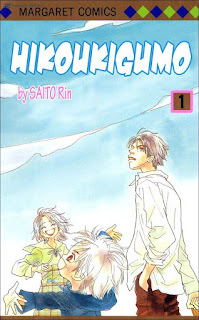 Synopsis: While visiting the National Library, junior-high students Miaka Yuuki and Yui Hongo are transported into the world of a mysterious book set in ancient China, “The Universe of The Four Gods.” Miaka suddenly finds herself with the responsibility of being the priestess of Suzaku, and must find all of her celestial warriors for the purpose of summoning Suzaku for three wishes. However, the enemy nation of the god Seiryuu has manipulated Yui into becoming the priestess of Seiryuu. 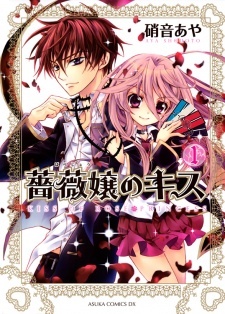 As enemies, the former best friends begin their long struggle to summon their respective gods and obtain their wishes… [Written by MAL Rewrite] While Yui is returning a book in the library, Miaka drops a coin by the food machine (in the anime). When she reaches down for it, Suzaku appears before her and leads her into the Restricted Section. As the girls go through the books, Miaka stumbles across The Universe of the Four Gods and both girls start to read. In a flash of bright red light, the two girls are then sucked into the book-world, and are saved from assault by a man with (鬼, Oni?) written on his forehead, who is later revealed to be Tamahome. Just then, Yui is sucked back into the real world and she continues reading the book to help progress the story. Miaka, now stuck in the book, runs into a gang looking to sell her to a brothel. Tamahome steps in and helps her again, and in trying to repay him, gets them into a sticky situation with the Emperor’s men. 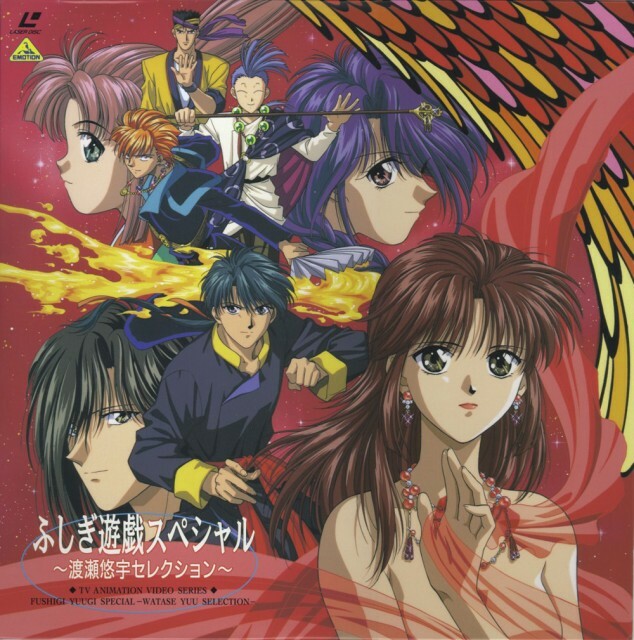 They tried to escape the dungeon, only to come across the Emperor, Hotohori himself, who explains that they believe Miaka is the legendary Priestess of Suzaku (Suzaku no Miko), a girl from another world who will gather Konan’s Celestial Warriors and summon the phoenix god, Suzaku. Doing so will grant her the power to grant any three wishes. Miaka decides to accept the responsibility. Soon Miaka and company are setting out across Konan in search of her celestial warriors. The series describes their travels and their adventures along the way to summoning Suzaku, enduring various trials along the way, both quest-driven and personal. Miaka however has little knowledge of what happend to Yui. 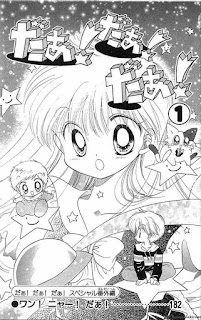 Yui, who was sucked into the book soon after helping Miaka escape it briefly, has assumed the mantle of Kutō (or “Qu Dong” in the manga)’s priestess of Seiryū, Suzaku no Miko’s deadly enemy. Review/Thoughts: Well, well, well. The famous reverse harem of all times! I also love the anime but the manga is better (for me). Up until now, this series is still famous that a Stage Drama/Musical (?) is on the roll! Feast our eyes and minds for the live-action ikemen! 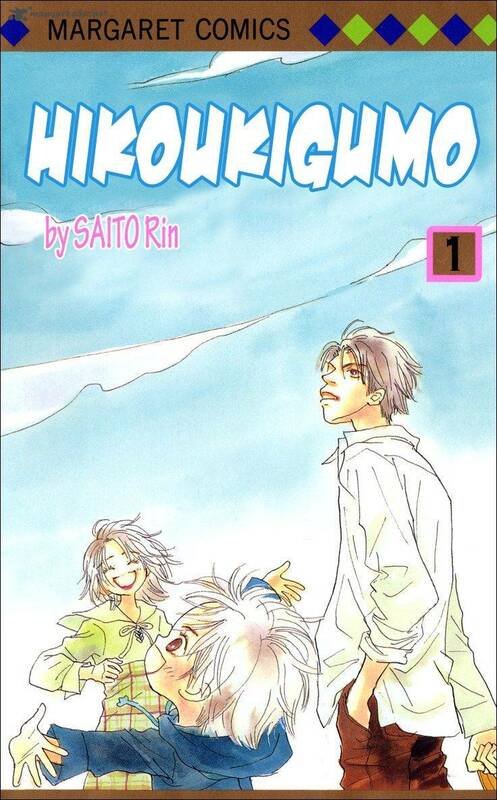 I also recommend the sequel on this, the Genbu arc, now an ongoing manga! Synopsis: Mikan Sakura is an orphan who lives in the country side of Japan. 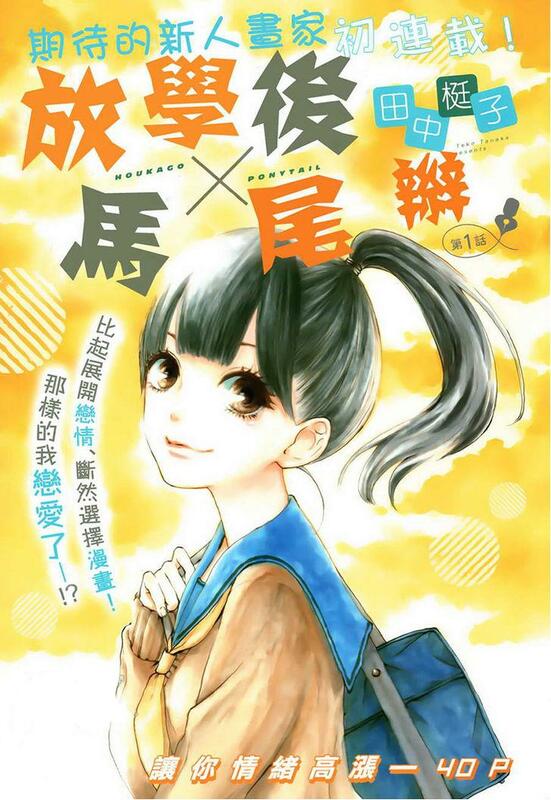 When her best friend, Hotaru, transfers away to a prestigious school in Tokyo, Mikan follows her. The school is actually an elite academy for the gifted people with “alices”. When Mikan arrives at to the gates of the school, she encounters a teacher and gets enrolled due to a series of events. She is told that she has a unique, rare “alice”. There, she immediately meets Natsume, a moody boy who constantly gets abused by the school. They get along like fire and water, yet they are unmistakably attracted to one another. 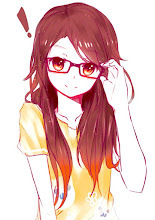 She also gets the chance to meet other people, like Natsume’s caring best friend Ruka, or Iinchou, the class rep. Despite her initial view of the so-called greatness of the school, she slowly finds out that beneath the grand facade of the academy, there is a never-ending stream of lies and buried secrets. The school’s increasingly manipulative and sinister actions towards her make it a dangerous place to be. Little does she know, her enrollment in the school set the gears in motion to a greater tragedy. Synopsis: GE: Good Ending follows Utsumi's interactions with Kurokawa Yuki, a member of the school tennis team, in order for Utsumi to confess his feelings to the captain of the tennis team. Review/Thoughts: Recommended by a reader and got hooked. 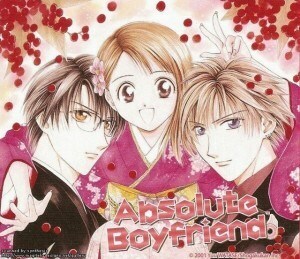 This is actually those romance manga for boys but nevertheless, it's also a good read for shoujo lovers out there. It's not bad to read manga on hero's perspective. Synopsis: Nao Yoshikawa stays behind to live by herself when her parents leave to inherit her grandpa's farm in the country. On the day she moves into her new apartment she soon discovers that it was rented also to Hisashi Uehara—a cute, super-cool and popular guy from her school. Not only did their housing agency unexpectedly close down, the landlord of the apartment tells them that they had to pay more for their apartment then they had expected. With both no money and no home to return to, Nao and Hisashi decide to live together as flatmates. 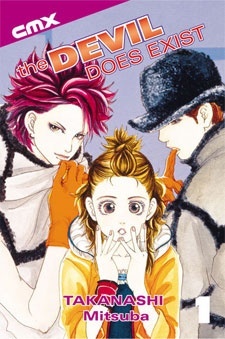 Review/Thoughts: New generation of shoujo manga readers might not appreciate the art style but way before it's the mainstream. The story is funny and please also check out the live action series. The actors are so dreamy! 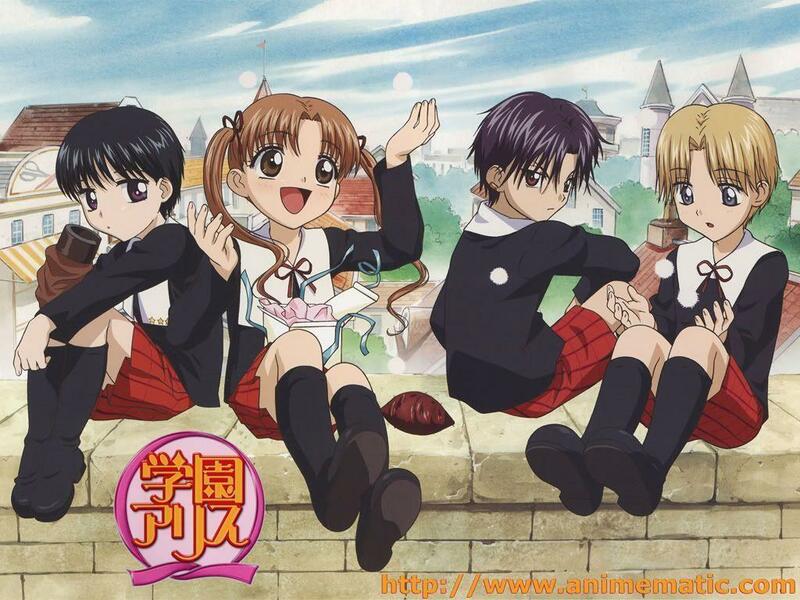 Synopsis: Tsukushi Makino, a working-class girl, attends an elite elevator school called Eitoku Academy, populated by children from rich, high-society families. She is the "weed" of the school surrounded by all the rich kids including the "Flower" Four (F4). 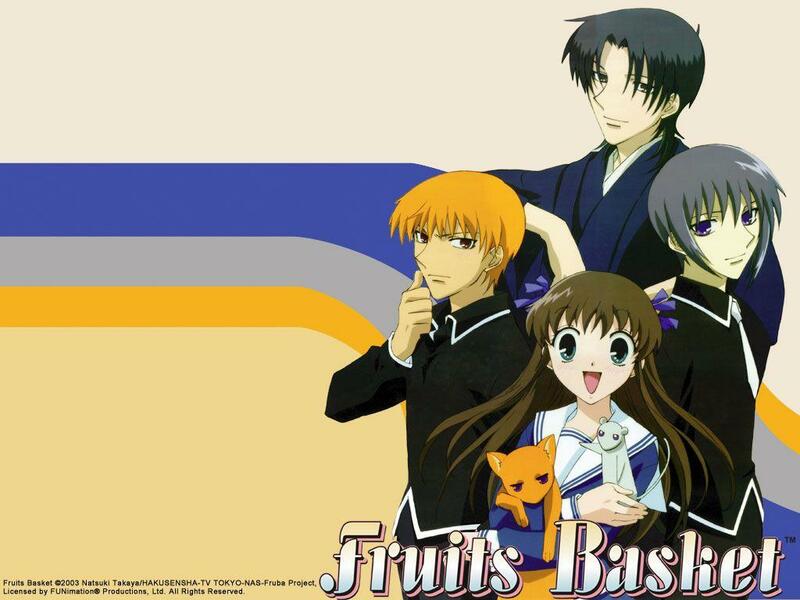 The F4 leader and son of the wealthiest, most powerful family in Japan, Tsukasa Domyoji, takes an interest in Tsukushi, because she is the only girl at Eitoku who doesn't fawn over him. However, his hot-headed nature and bullying ways are originally a major turn-off for Tsukushi, who has her sights set on someone else. Review/Thoughts: Well, I. LOVE. IT. Synopsis: When Lys was born, her heart did not beat at all. To save her, her mother made a contract with a devil: Lys can borrow his heart until the day she turns 16, but after that, he will eat her body. Together with her companion, Siva, someone she met by chance on the desert at night, she travels around as a dancer girl to find the devil who sealed her fate. One day, while they were traveling, they suddenly meet an egoistic prince and a ring spirit...A Thousand and One Nights romance between the devil and the young girl. Synopsis: A full-time office lady and a part-time hostess, she works night and day to pay off her dad’s debt from his failed business. One night at her part-time job, a high-class customer has her fired. Then the next day, she’s called in to see the president – whom she had never even seen before in the office – only to find out she’s to marry him! But what kind of guy is Mamiya Hokuto anyway? Will he become one of Chiwa’s problems, or will he save her from them? And will this marriage even last?! Review/Thoughts: Sweet and hot. Feels like reading a romance novel/pocketbook because of the plot. It’s quite long but worth reading! Synopsis: Login to add items to your list, keep track of your progress, and rate series! Description This could be any girl. Imagine being a heroine of a love story. 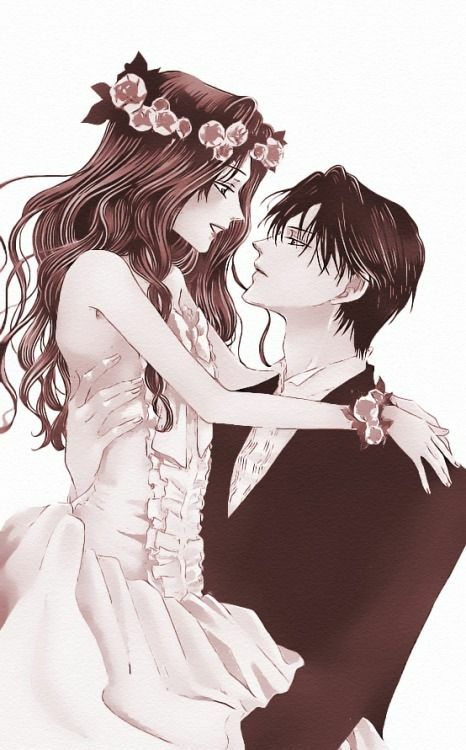 Hatori also believed that one day she would get married to her childhood friend, Rita. But that’s not how the world works! This is a hilarious comedy that honestly paints a painful unrequited love story of this young girl! Review/Thoughts: A very funny series! I love the comedy punches and the romance itself. The live-action adaptation is on the way, guys. (fangirl squeals for the actor of Rita!) 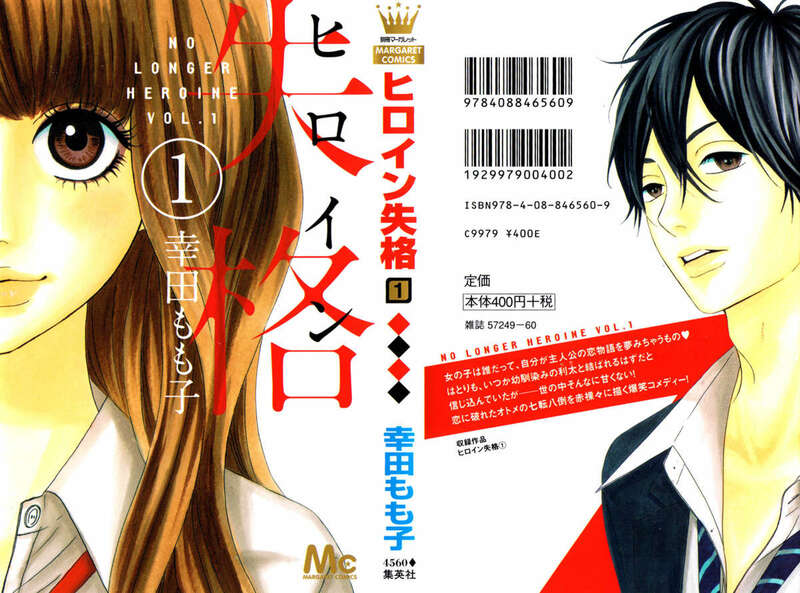 I really love this series because I can see myself on the heroine! Hahaha. You will root for the 2nd male lead (or is it just me? ), so, read now to see who will our heroine ends up to! Synopsis: Back in junior high, Haruna Nagashima was only interested in two things: softball and manga. Now that she’s starting high school, Haruna’s focus has changed–she wants to snag a boyfriend and have the romance of her dreams! However, she has one small problem. Since she never paid any attention to fashion or trend in middle school she has no idea how to go about attracting her yet-to-be-found love. But a chance encounter with with Yoh Komiyama provides her with the opportunity she needs. If he coaches her in how to become attractive, surely she can find herself a boyfriend! By Strawberrie: Haruna is a natural tomboy who used to play softball. However, she’s determined to learn what it takes to be a girl who can attract guys. And the popular Yoh has agreed to coach her…on one condition: she musn’t fall in love with him. Review/Thoughts: Another feel-good manga! It has a live-action movie adaptation and it’s really good. Synopsis: University student Miyu always sacrifices time with her friends just so she could visit the house of her brother in law and his son. The brother in law tries to stop her from helping out around the house since their relationship should have ended after the death of his wife, but Miyu just would not give up. Why is she so adamant about hanging around them? Synopsis: 15-year-old country girl, Suzume Yosano, has to move to Tokyo to live with her uncle due to her father’s transfer. She bumps into a mysterious man who ends up taking her to her uncle’s place after she gets lost. Turns out, Suzume will be seeing him a lot more often once she starts school because… he’s her homeroom teacher!? Included in the manga is a oneshot story called Tsuyu Kaoru (A Love Story in Moist Rainy Days) in volume six: A romantic and melancholic love story behind a red umbrella. Review/Thoughts: Confetti! My ship sailed to the moon! Yey. I was sad and happy when this manga ended. 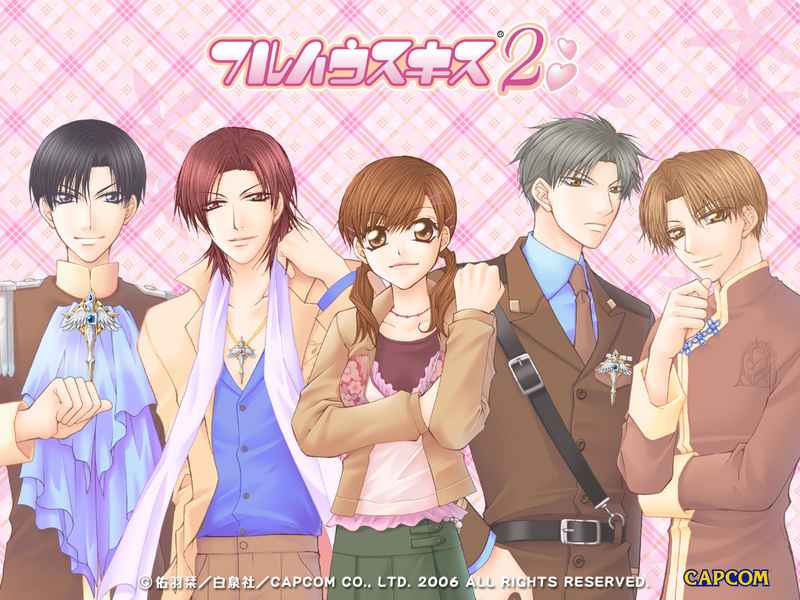 I totally have a SMLS (Second Male Lead Syndrome). Sad that it ended and happy for Mamura! I could still remember the times when I was waiting for the last few chapters because there’s a lot of debates around the net for who’s our dear heroine will end up to. Synopsis: Natsuki, an otaku high school girl who’d rather spend her money on manga than pretty dresses, accidentally injures a creepy-looking mangaka named Kiritani Taichi. To repay him, she agrees to be his character model until he fully heals. Kiritani turns out to be a popular shoujo mangaka under the name Ichijou Kiriko, who is also Natsuki’s favorite author! Plus, underneath that disheveled hair Kiritani is actually a good-looking man! What will become of these two? Review/Thoughts: Want to feel a certain fluffiness? Then, this manga is for you. It’s light yet very fun to read! 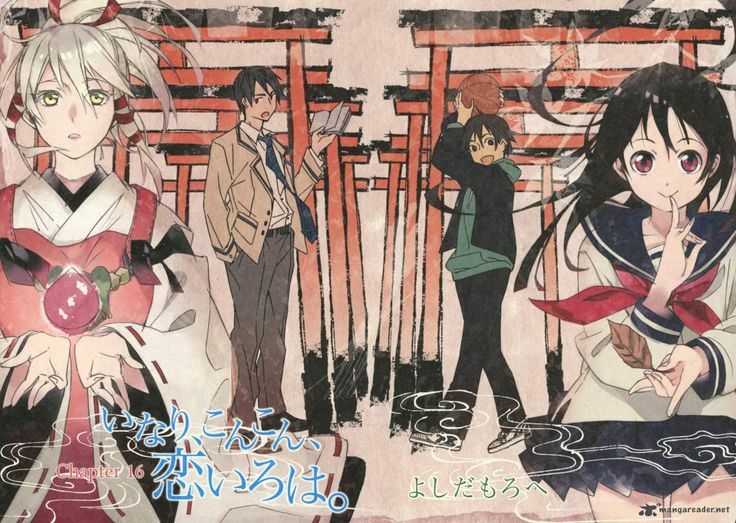 Synopsis: Fushimi Inari has a hopeless crush on her classmate Tanbabashi. One day, while trying to interact with him, she accidentally humiliates him in front of the whole class. 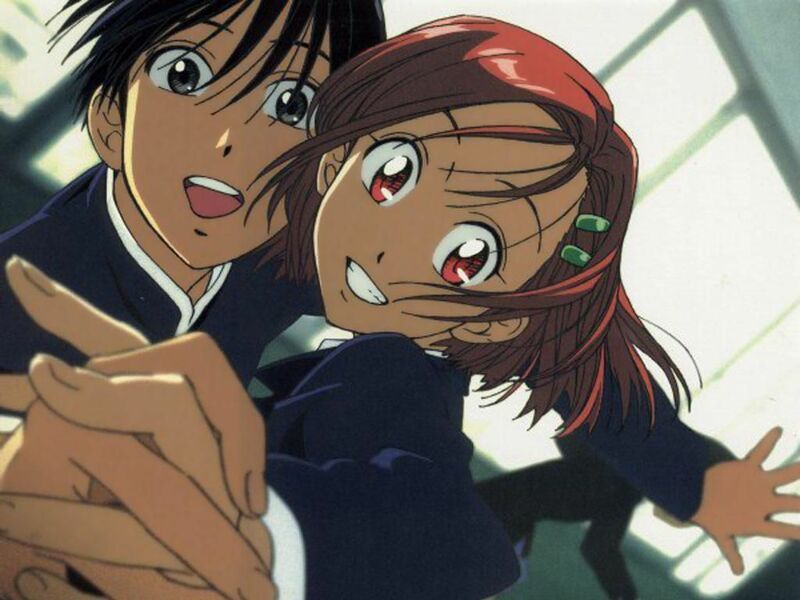 He refuses to accept her apologies, and, to make matters worse, she discovers that he probably has a crush on their incredibly cute classmate Sumizome. Review/Thoughts:After watching the anime, I immediately read the manga to know what happened after, it was sooooo GOOOD! Every characters are so lovable. And the ending might be a bit sad but it's perfect. I cried at the ending, such overwhelming story. 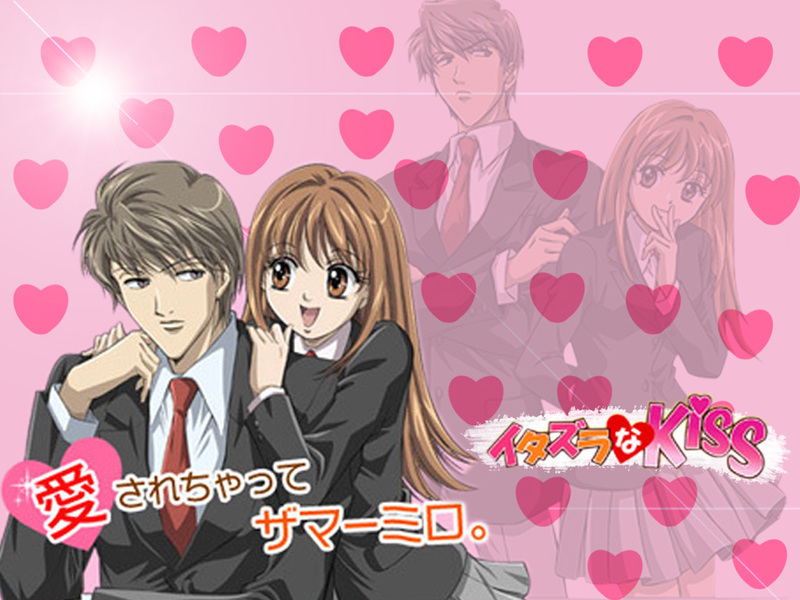 Synopsis: High school senior Aihara Kotoko has had a crush on Irie Naoki since freshman year. But she’s been discouraged from confessing to him by a few things: he’s a member of “Class A,” the top ranking class in school, where as she’s in “Class F”; he gets the top score on every exam; and he’s so smart, popular, and handsome that he’s been class president every year. When Kotoki finally musters up the courage to present him with a love letter, though, Naoki outright refuses it, telling her point blank–with a look of disgust and boredom–that he doesn’t like “stupid girls.” Poor Kotoko’s worst nightmare! Her heart is broken, but then a change in circumstance forces Naoki and Kotoko to be together every day…!? Review/Thoughts: Now, who would dare forget this series? Aside from the story and plot, the characters are just so lovable. Every girl wants their own Naoki. It has been adapted to a drama series in Japan, Taiwan and Korea (all of these versions were aired in the Philippines. Hahaha!) Up until now, I still read and watch it! Review/Thoughts: Ahw, le me is a sucker for a childhood friend turned lovers stories, though, I really like the second guy, my vote is for the childhood friend. Hahaha! So if you love this type of plot, read now! Synopsis: Brilliant and overachieving, Misaki Ayuzawa is the President of the Student Council at Seika High School, formerly a boys’ school. Unfortunately, most of the students are still male and stuck in their slovenly habits, so man-hating Misaki really socks it to ’em in an attempt to make the school presentable to attract more female students. But what will she do when the sexiest boy in school finds out that after school, Misaki works in a maid cafe. 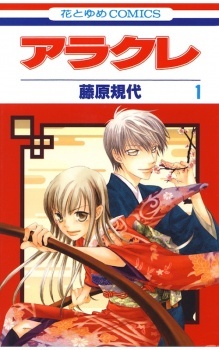 — Also included in this manga is a short story called Toumei na Sekai in volume one. Training, studying, and even becoming the first female student council president of the school, Misaki has gained a reputation among the male students body as an uptight, boy-hating dictator and as a shining hope for the teachers and fellow female students. However, despite her tough-as-nails appearance, she secretly works part-time at a maid café in order to support her family. Unfortunately, her hard-earned reputation is threatened when the popular, attractive, and somewhat impassive Takumi Usui takes an interest in her after discovering her in a maid uniform after school. Review/Thoughts: Yeah, no more further discussion! 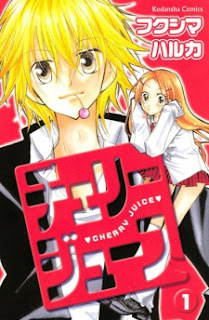 This manga is a must-read because the anime is not enough for an Usui fangirl! Hahaha. Seriously, the chapters from where the anime ended are so good and vital for the story! 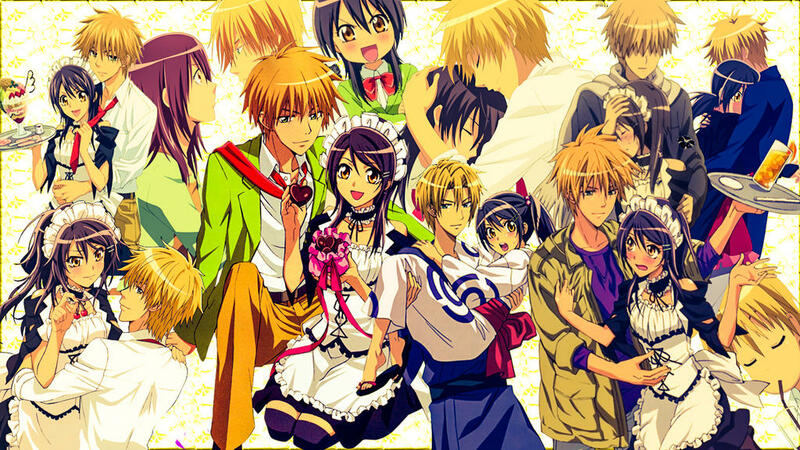 And the ending… *sighs* and read the SIDESTORY OF MISAKI AND USUI'S CHILDREN!!! Synopsis: Nanami Momozono is alone and homeless after her dad skips town to evade his gambling debts and the debt collectors kick her out of her apartment. So when a man she's just saved from a dog offers her his home, she jumps at the opportunity. But it turns out that his place is a shrine, and Nanami has unwittingly taken over his job as a local deity! Nanami has all kind of new responsibilities she doesn't understand, dangers she's unaware of, and a cranky ex-familiar who's...actually pretty hot. What's a new-fledged godling to do? Review/Thoughts: One of the BEST FANTASY ROMANCE EVER!!!! The twist and everything. It was very beautiful. This is one hell of a masterpiece! Synopsis: Yukino Miyazawa is the perfect model student. Pretty, kind, good at sports, always at the top of her class. But she's not all that she seems. It's all an act of deception; she is really the self-confessed 'queen of vanity,' and her only goal in life is winning the praise and admiration of everyone around her. When she enters high school, she finally meets her match: Souichirou Arima, a handsome, athletic, popular, and very intelligent young boy. Ever since he stole the top seat in the class from her, Yukino has hated him, and has been plotting on how to take back her former place as the object of all other students' admiration. What she wasn't expecting, however, was that Souichirou, the very boy she hated, would confess his love for her. Or that he would find out about her deception—and use it to blackmail her! Together, they discover that they have more in common than they knew, and they slowly begin to bring out each other's inner selves. 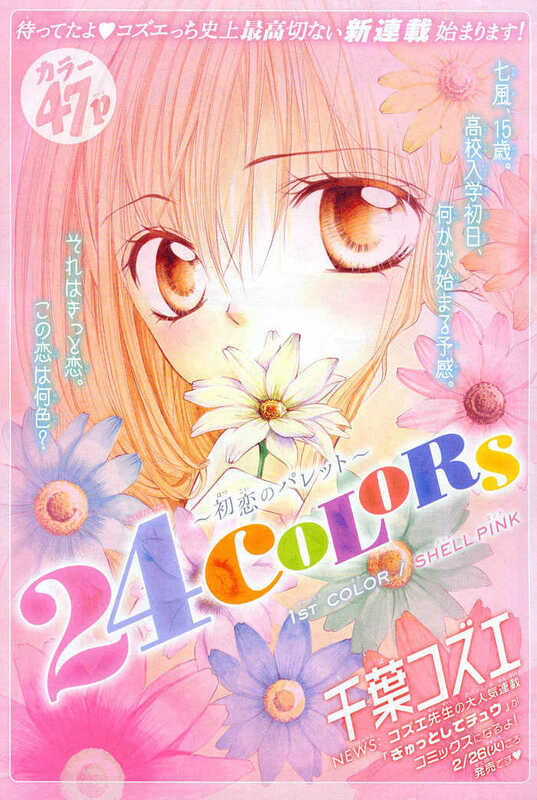 Synopsis: After the re-marriage of her mother, Himari went to her former city. but, she'll meet again the boy who traumatized her in primary school...! But the worst thing is what she'll learn after getting back from school..
Review/Thoughts: They may be chapters that are boring but it's worth reading. I just love Aizawa-sensei's art style. Synopsis: Tsugumi is good handling with animals. One day, teacher suddenly ask her to take care a problem. but Shiro also nickname "rampaging lion"...? Review/Thoughts: Fuwafuwa Taimu. Feel-good, light read. Read it now, it's short! Synopsis: The "Special crime investigation department 007″ includes the most capable and extraordinary investigators and Fuyuki, who also becomes one of its members, is very capable, to. And she is paired with Kuze, a cool and very handsome detective. Their combination proves to be the most dangerous one the police headquarters had ever seen! 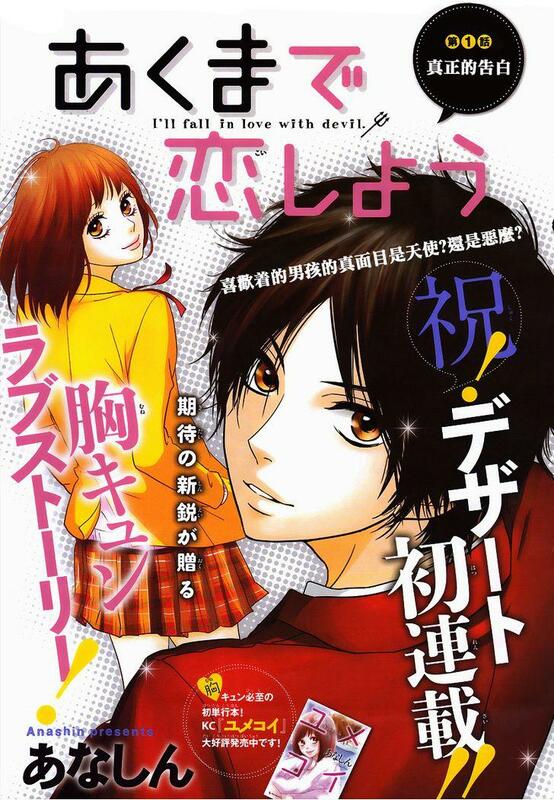 Review/Thoughts: I recommend this manga to people who want a heart throbbing story to read. I didn't it was already finished because streaming are still ongoing on you know. Hahaha. Guys, if you happen to have a manga in mind that wasn't on this please recommend it to me. I don't bite and I want to meet fellow manga readers as well. 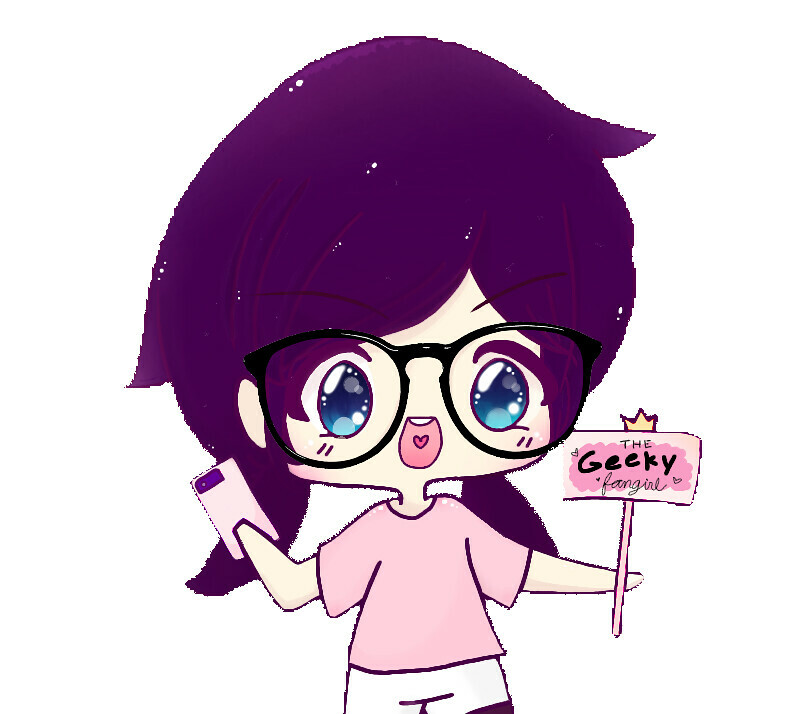 Please don't forget to like Vi-Geeky's facebook page, instagram and twitter for more latest updates and recommendation!